Posted on March 18, 2011, in home improvement and tagged decor. Bookmark the permalink. 2 Comments. How wide is the space there? If it’s not all that wide I’d think shelves would be obtrusive and you should go with a mirror or painting. 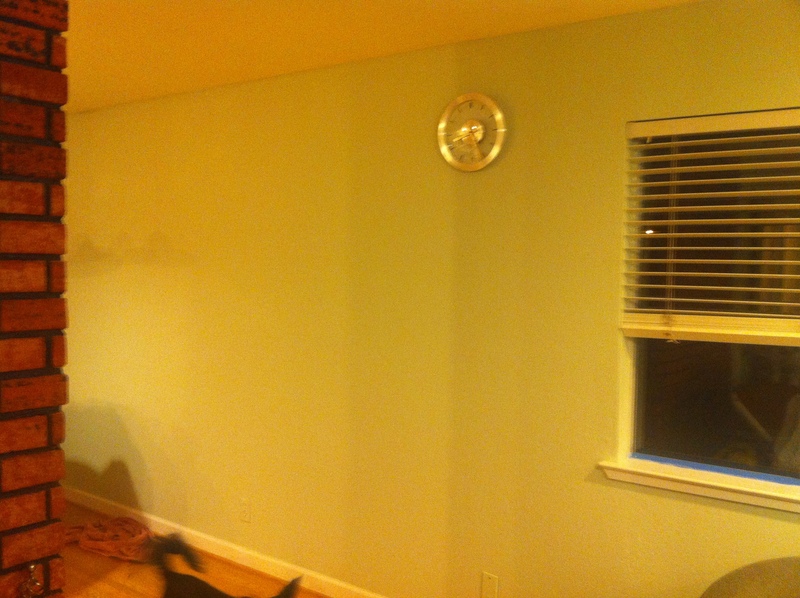 The blank wall is about 15′ long, but the part off to the left of what’s in the picture has the dining table in front it. I didn’t want to take a picture though because the table is completely covered in crap. 🙂 maybe shelves under the clock and a mirror over the table?